By George Shirley. By Various. Sheet music. Music Minus One. Classical. Softcover with CD. 24 pages. Music Minus One #MMO4047. Published by Music Minus One (HL.400595). 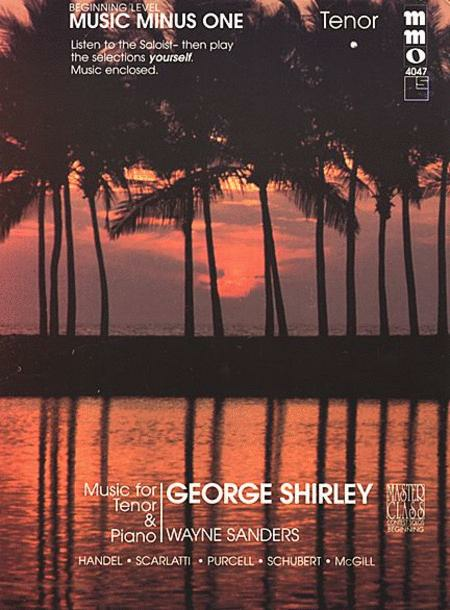 This far-ranging collection of beginning contest solos features the choicest repertoire for tenor as performed by George Shirley, and then by you, the soloist. A perfect introduction for the beginning tenor. Includes a high-quality printed vocal score annotated with performance suggestions and a compact disc with complete versions (with soloist) followed by stereo accompaniments to each piece, minus the soloist. 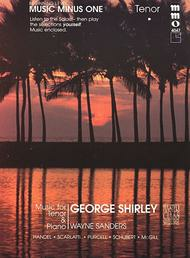 Includes: Händel, Georg Friedrich – Xerxes (Serse), HWV40 - I: 2. 'Ombra mai fù du vegetabile' • Scarlatti, Alessandro – Cara, Cara e Dolce • Purcell, Henry – If Music Be the Food of Love • Schubert, Franz – Die Schöne Müllerin, op. 25, D795 Book 1, No. 1: 'Das wandern' • McGill, Josephine – Duna • Traditional – There Is a Balm in Gilead.